Richard Loving was a caring man; he didn’t see differences. There was one person Richard loved more than the rest. Mildred Jeter was part African-American, part Cherokee. Ever since Jacqueline Woodson won the National book Award prize for Brown Girl Dreaming and the 2015 ALSC book awards were announced in January, the importance of diversity has been an ongoing topic of conversation. (A Crossover Year for Diversity). 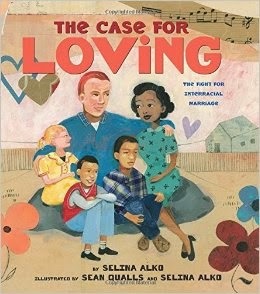 Now, adding to the list of excellent informational books about the fight for equality comes, The Case for Loving: the fight for interracial marriage written and illustrated by husband and wife Selink Alko and Sean Qualls. The book begins in 1958, telling the true story of Richard Loving, a fair-skinned boy, and Mildred Jeter, a girl whose skin was “a creamy caramel” who wished to be married. They were denied that right because in their home state of Virginia it was illegal for two individuals of different races to marry. They were so much in love Richard and Mildred knew they had find a way to tie the knot. And there was. By crossing the state lines into Washington, D.C. were the law allowed interracial marriage. At the ceremony, in front of a few friends and family, nobody objected when Richard said, “I do,” and Mildred said, “I do,” too. The Lovings were officially pronounced man and wife! Richard and Mildred were courageous. Knowing it could mean imprisonment they still set up housekeeping in their hometown of Central Point, Virginia. Eventually, they were arrested for unlawful cohabitation. Richard and Mildred left Virginia and didn’t return until nine years later, 1967, when the Supreme Court ruled in their favor (Loving vs Virginia). Finally, the Lovings, with their three children, had won the right to their love and could return home to Virginia. Qualls and Alko, both celebrated authors and illustrators, decided to collaborate on this project because the topic is so personal. As a mixed-race couple, Alko states in her author's note, I found it hard to imagine that just decades ago couples just like us not only faced discrimination, but were told by their government that their love was unlawful. The illustrations, done mostly in earth tones using mixed media paint (gouache and acrylic), collage, and colored pencil on bristol board mirrors the text and radiates happy emotions. In the note about the art Alko shares, Just like a marriage is the joining of two people, the illustrations for this book could not be achieved individually, but only by Sean and me working together. The Color of Loving is an important addition to any collection. This book celebrates the right of two individuals who love each other deeply, and their right to marry regardless of their race. 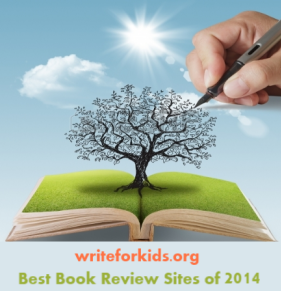 Be sure to include The Color of Loving with other books about the Civil Rights Movement and marriage equality. The book offers children another opportunity to see the immense struggle that has taken place over the years for equality that, unfortunately, still continues to this day. This was such a great and important book, and the art work by Alko & Qualls is just stunning!